I've decided I love cobalt blue. These new flats and matching bag make my heart sing in shallow gratification, especially when paired together! Haha, this new necklace is from Shop Lately, and I adore the colorful tribal print! Also, who can resist a matching necklace and earring set? I certainly can't - in case you can't tell, things that match are my thing in this outfit. 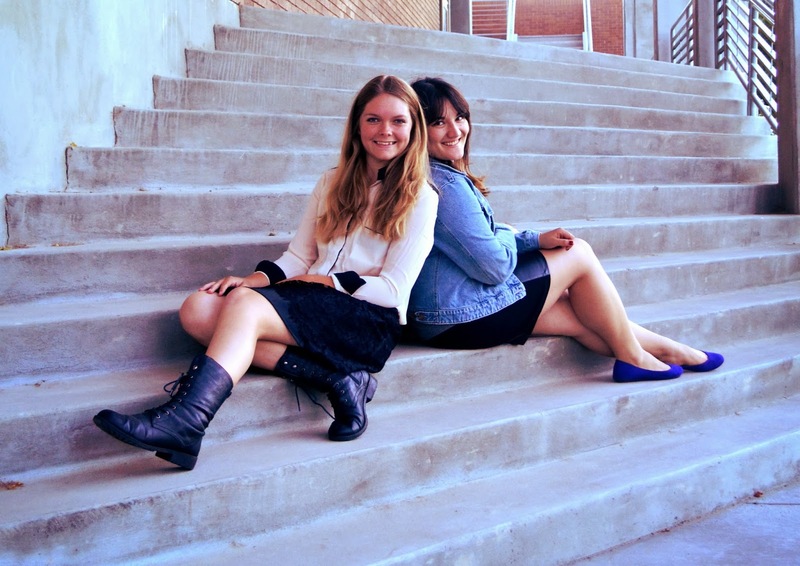 Kirsten and I ventured out to my school's rec center and took photos out on the steps and cement walls. Lately I've been inspired to take better pictures since I bought the Beautiful Mess Photo Idea book! Its such a fantastic inspiration to have on hand. All it takes a spark to start a wildfire of ideas sometimes. Also, since I skipped yesterday's Music Monday post, I'm attaching it at the end of today's post. I came across Hailey William's (my idol!) new single with the producer Zedd, Stay The Night, and I am captivated by the music video. The artistry and style is exactly something that inspires me! In fact, I was so impressed with it I looked up the director and choreographer of the video - it's the same guy! Daniel "Cloud" Campos, you are officially my man crush right now. While stalking him looking up his work, I also found out he's like me - half Filipino and half white. HOLLA! Anyway, watch, listen, and enjoy. Beautiful pictures. Your cobalt flats are making me sing too. They are just so happy-looking. Great outfit dear. Keep em' coming. Cobalt is AMAZING. I'm obsessed with rich, saturated colors when Fall hits. I may have to pick me up some cobalt shoes now. Inspired! Stay the night is just a great song, I love Hailey's voice! Very cool skirt, nice texture and color on you. And your shirt is so fun too. Your jewelry is also so neat. Great post! Blue suits you so well. I love the shade of your shoes. Those shoes are such a gorgeous color! Cobalt is beaaaautiful on you, Miss Linda! It's so royal royal and deep deep and lovely~ that necklace of yours is way neat, too. I like the little rivets of laquer in them, oooh. It's one of those necklaces that's fun to run your fingers over, hahaha. Yes, cobalt blue is amazing and so are your shoes, heck, the entire outfit! Thanks for your take on my pleather jacket, again! I so appreciate that you are so loyal to me (hug). Beautiful pictures! I love your your t-shirt and how you styled it with the chambray top over it. Perfection. oh abeautifulmess has a book? wow I'm probably one of the worst blog readers ever, haha. Oh, I adore colbalt blue as well, It's so bright and happy! Your necklace is very pretty too, it matches well with your bag. Overall, another super cute outfit! I really like your outfits here, the blue flats are seriously pretty and I want this jacket in my closet, too! You look stunning. The shades of blue go so well with each other and they are so pretty! Aww, really lovely and heartwarming photoshoot! :) You two are so cute. And love your jewelry .. Cool. Cant wait to get that book to read! I love the last photo with the shoes and quote, I'm guessing that was inspired from it? The music video for stay the night is so amazing, and I probably wouldnt have seen it if you hadnt posted it!! I saw you liked my guest post on My Modern Vintage and I just wanted to visit your blog and say thanks! I love your photos here! You look so great! The matching earrings and necklace are great! i love the quote on the step! and do you have their photo book? i was thinking of purchasing it, how do you like it? These pictures are so cute! It looks like you guys are having so much fun!I love the flats!! I like your skirt and I like strong cobalt blue as well. and those tribal print goodies. they totally spice up your outfit! when it comes to Hayley Williams I'm not sure if I like this kind of trance-like side of her music... it's not bad but it's simply not my cup of tea. I am loving this cobalt blue hue as well and really need to get something in it, that skirt is amazing on you, love the jewellery set and super cute flats. Beautiful!! I love that leather skirt! I love these pics...your skirt is really nice!! Stunning photos! 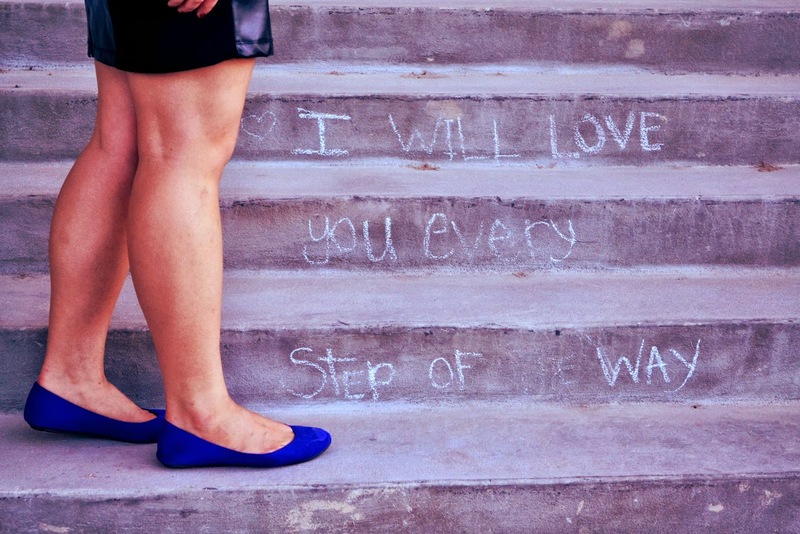 Love your cobalt blue shoes! this outfit is so chic! Cobalt blue looks so good on you. These photos are so fun and exciting! i love cobalt blue too, it brightens up any outfit! 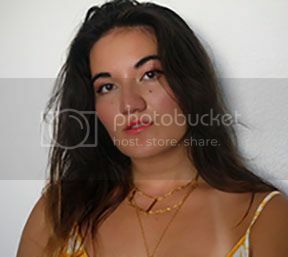 these photos are so cute, love the necklace and earrings you have here and the roomate shots! have a great friday linda! cute outfit, love your denim jacket and those blue flats!!! And perfect blue flats and bag! this outfit is so chic and i really like the shirt with the leather fitted skirt! the combination is so good, paired with those cobalt blue accents! !